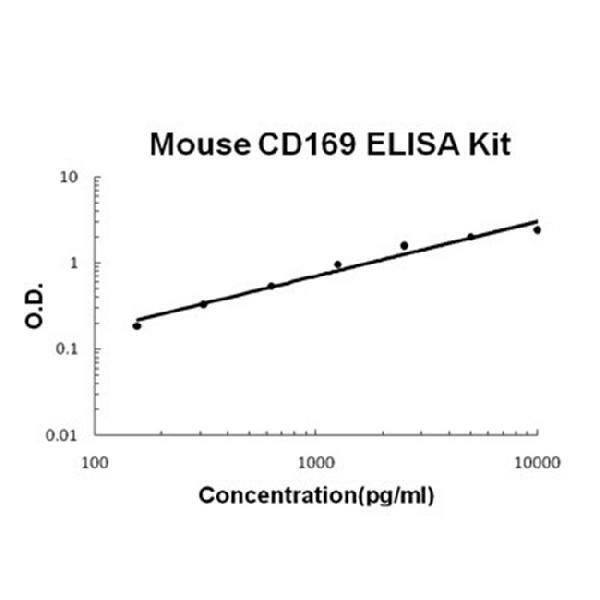 Sandwich High Sensitivity ELISA kit for Quantitative Detection of Mouse CD169/SIGLEC-1. 96wells/kit, with removable strips. Detected in lymph node in the subcapsular sinus, interfollicular regions, and T and B-cell boundary (at protein level). Expressed by macrophages in various tissues. Highest expression in spleen and lymph node with lower amounts in lung, liver, bone marrow, heart and skin. No expression in thymus, kidney, brain or small intestine. .
Acts as an endocytic receptor mediating clathrin dependent endocytosis. Macrophage-restricted adhesion molecule that mediates sialic-acid dependent binding to lymphocytes, including granulocytes, monocytes, natural killer cells, B-cells and CD8 T-cells (By similarity). Preferentially binds to alpha- 2,3-linked sialic acid. Binds to SPN/CD43 on T-cells. May play a role in hematopoiesis. May act as a counter-receptor for CLEC10A in lymph node. .